Cryptocurrency–Despite coin prices getting off to a shaky start in 2019, with price volatility continuing from last year’s ongoing bear market, the narrative towards cryptocurrency is making a decidedly positive change towards functional improvement. As featured in the piece, one of the primary concerns of institutional and large capital investors is the lack of protection afforded by purchasing and trading cryptocurrency through traditional exchange routes. 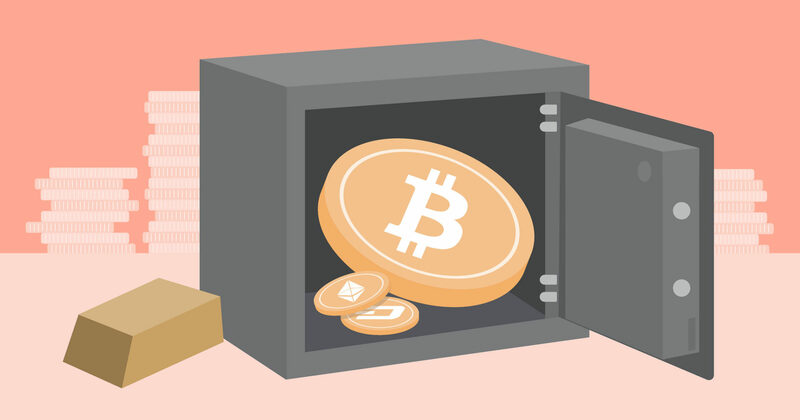 While most investors are aware of the risks associated with hacked accounts, the steps involved in securing coins in a wallet or cold storage are still too complex and not intuitive for the casual investor. For big investors with millions–even billions–at stake, regular stories of coin theft are enough to create the illusion of a dangerous market to be involved with. However, the lack of simple but functional coin protection also presents a significant opportunity for companies that are willing to solve the problem. BitGo Inc., a platform which bill itself as “the market leader in institutional cryptocurrency financial services,” will begin offering a revolutionary feature for customers: the ability to buy, sell and trade Bitcoin, Ethereum and currencies without the coins leaving cold storage. The end result is greater security for investor funds, assurance for large investment customers, and decreased risk of liability on behalf of the exchange–an important point if crypto trading portals are to ever become insured platforms. Hacking, which cost cryptocurrency investors $1 billion through the first nine months of last year, has become a high profile issue for an industry seeking legitimate recognition and greater appeal to the mainstream investment market. While crypto prices have continued to fall since reaching a crescendo in January 2018, many optimistic investors have turned to the possibility of “institutional investment,” such as Wall Street banks, to inject large amounts of capital into the market and renew price interest. However, the lack of security and regulation has continually been pointed to as a concern for such investors. The end result has been a shift to call for greater regulation in the crypto space, spearheaded by the Winklevoss Twins and their crypto exchange Gemini, with the goal of increasing credibility in the market. BitGo, working in conjunction with Genesis Global Trading Inc., seeks to create a new form of crypto marketplace, one that CEO Mike Belshe claims has “never existed before.” By keeping coins in cold storage during the entire transaction process, the risk of theft drops significantly with hackers having no way to access the funds through traditional network routes. BitGo and Genesis Trading are also offering to match customer buy and sells, providing greater assurance for funds moved on the exchange. They also hope to capitalize on another incentive for investors trading solely through cold storage by cutting out the current delay required by most cryptocurrency exchange in moving funds from hot and cold wallets. Because buy and sells are enabled via cold storage, customers have no reason to keep funds in a hot wallet typical of most exchanges, meaning they can retain secure features while also participating in regular trading.